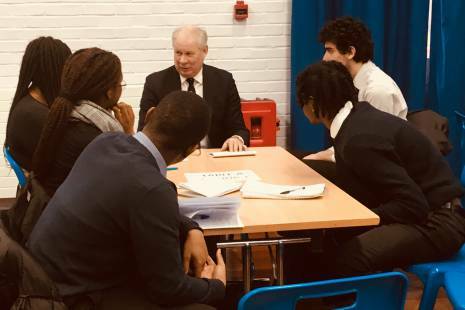 We held our fifth Mentoring Café at one of our flagship schools, Greig City Academy in Haringey on Friday 23rd February 2018. Fifteen members of the Company volunteered as mentors, and were representative of a range of career professions. Mentors were interviewed by groups of sixth form students who had approximately 10 minutes at each table to ask questions about studying at university, finding a job, working life and careers. The event received very good feedback from students and teachers, as well as our mentors, and we look forward to holding future mentoring workshops at our flagship schools.